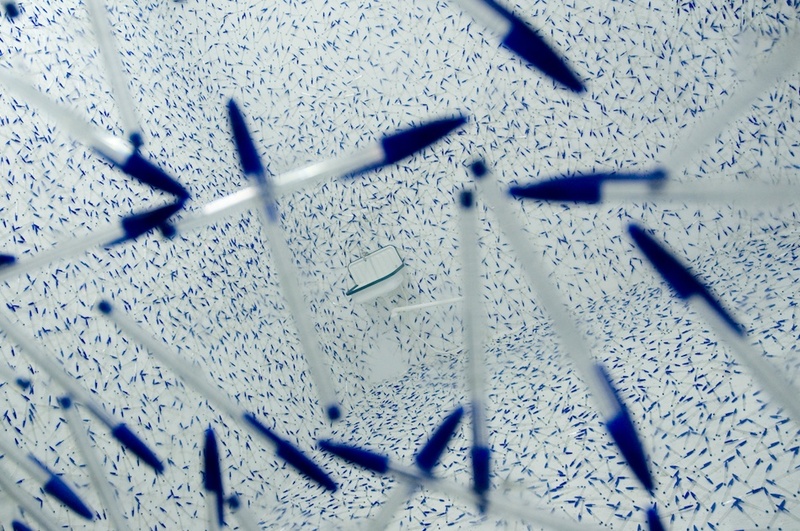 Aug 15, 2007 | abstract, art, blue, full frame, galleries, installations, pens, repetition, window. An impressive installation that my cousin found in Vienna, Austria. The artist is Herbert Hinteregger. It’s apparently possible to go inside and explore, but the door was locked when we were there.